Sleep seems of little importance when the body gets enough; but when the mind is tired, sleep can quickly become a priority. When lying down on that comfortable sofa or RV mattress, it’s important to avoid these common sleep myths to ensure a restorative night’s rest. 1. One of the most harmful mistakes many make about sleep is that losing a few hours during the week can be made up later. Unfortunately, this results in sleep debt. If you miss an hour each weekday then it adds up to a whole night’s sleep that will not be able to be made up during the weekend. Because of this, most Americans are chronically sleep deprived. 2. Another big mistake many people make is assuming that they need to get the recommended 7 hours of sleep without accounting for their individual needs. Seven hours may be the amount of sleep the average person needs, but every individual is unique. The amount of sleep each person needs actually varies greatly and can be anywhere from 5 to 10 hours a day. The best time to sleep also varies by individual. Some people are naturally night owls. 3. Many people believe that watching TV in bed or having some alcohol will help them sleep. In fact, in the United States, watching TV on that comfortable sofa mattress is the number one pre-sleep activity. The bluish tint emitted by the TV, however, alerts the body to halt production of melatonin, the sleep hormone. Alcohol also disrupts normal sleep patterns and causes the body to have lighter and less restorative nights. 4. Another sleep myth is that the less sleep that you get the more time you have to be active and lose those extra pounds. The truth, however, is the complete opposite. Research has shown that the more sleep deprived you become, the more difficulty your body has managing your blood sugar levels. In turn, this makes the body tired as well as hungry. For a healthy metabolism the body needs its sleep. 5. A common misperception many people have about sleep is that it is a passive activity. It is true that sleep does allow the body and mind to recuperate, but much more is going on than just rest. The brain and body continue to remain active while we sleep but perform different duties. While we sleep, the body produces the human growth hormone and prolactin which is necessary for the immune system. The brain also follows a regular cycle of complex events and even increases the amount of delta waves being produced. These activities are what make sleep so vital to overall health. 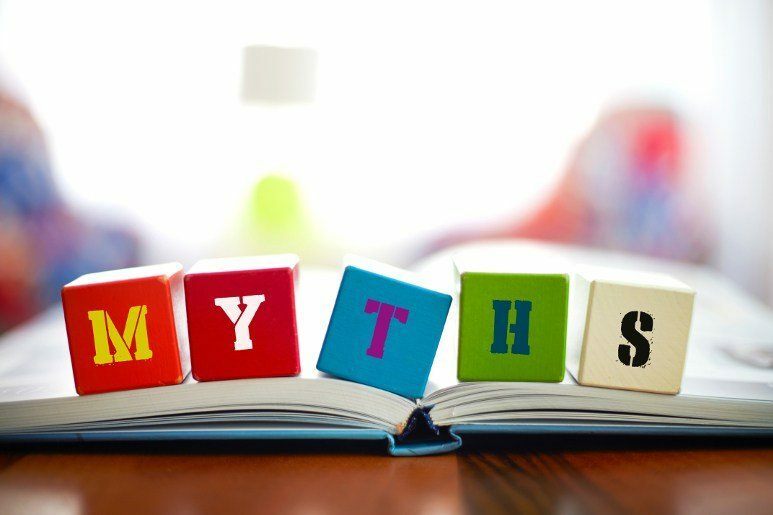 Were you aware of these myths? What other sleep related myths do you know of?